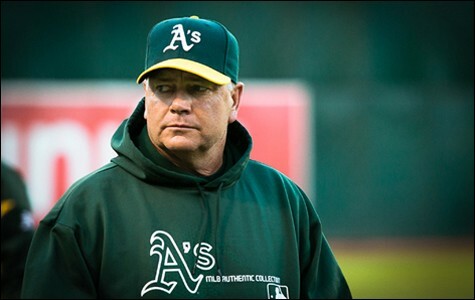 The Oakland A's are winning again on a shoestring budget, but this time the credit goes to a soft-spoken coach named Curt Young. Young, whom players say talks to them like no other coach, has guided the pitching staff to playoff contention despite now having four rookie starters. This article won first place for sports story (non-daily newspapers category) at the San Francisco Peninsula Press Club’s Greater Bay Area Journalism Awards in 2013. 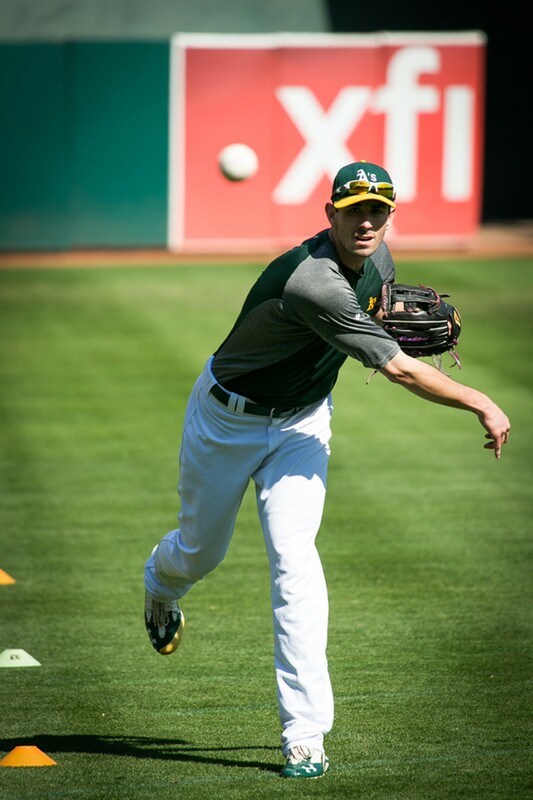 Oakland A's pitcher Travis Blackley was watching video of the Texas Rangers this summer, preparing to make a start against the league's premier offense, the very one standing in the way of the A's and the American League playoffs. Blackley was deep in study, identifying tendencies, looking for weaknesses in the reigning pennant winner's armor. He looked at a season's worth of at-bats, contemplated dozens of pitchers' approaches. And here is what he saw: "They had one guy who couldn't hit a change," Blackley said, "and the next guy kind of diving and try to cover the far side of the plate." Here's what Blackley didn't see: A's pitching coach Curt Young standing behind him, watching him watch video. At the time, Blackley had been with the A's for two weeks. 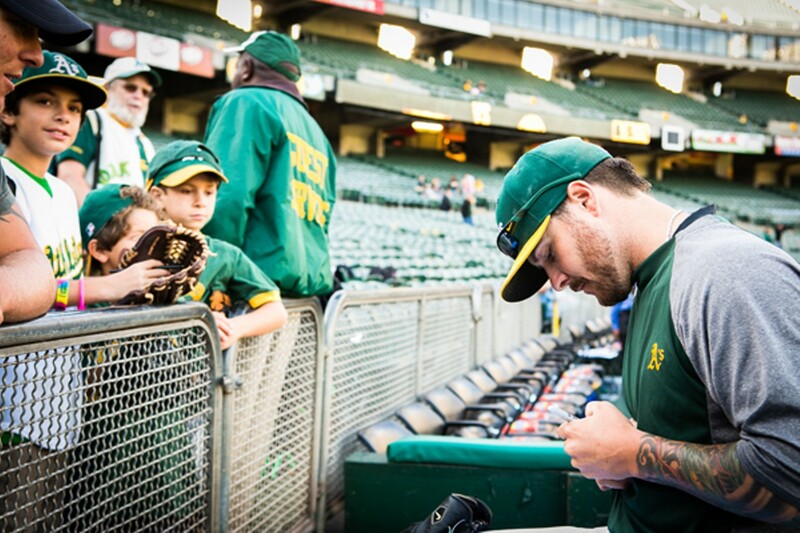 He is one of a dozen new pitching faces that have made their way through the Oakland clubhouse this season. Blackley has more than earned the label "journeyman." 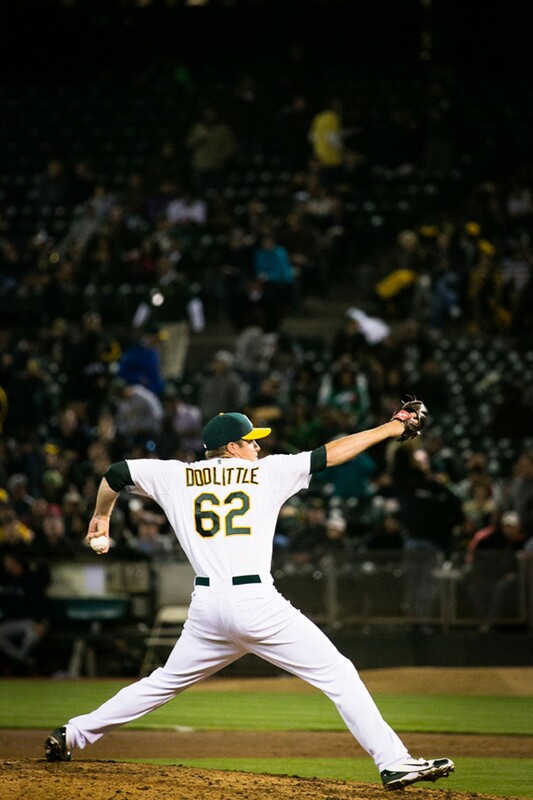 Nearly thirty years of age, the tattooed left-hander has pitched for the Seattle Mariners, San Francisco Giants, Philadelphia Phillies, Arizona Diamondbacks, the New York Mets, the Kia Tigers (Korean Baseball Organization), the Melbourne Aces (Australian Baseball League), several minor league clubs, the Giants again, and, finally, the Oakland A's. One thing Blackley had learned over the years is that his coaches wanted to see him working. Not this coach. "He told me to turn off the video," Blackley said Young told him. "I didn't at first because I thought I heard it wrong." Young, guide and guarantor of the twelve arms that make up the best pitching staff in the American League, had seen enough in just a fortnight with the newest of his A's to tell Blackley something he had never heard before. "Curt told me: 'When you are looking at video, you're figuring out what pitch they can't hit, right? But what they can't hit isn't the same as what you can throw.'" Blackley paused, remembering the moment. "He was telling me: "Don't go in there contemplating how to get them out with your second or third best pitch. Work on your best pitch. Let them adjust.'" That night Travis Blackley beat Texas — the best hitting team in the major leagues, a team that was one strike away from winning last year's World Series. Blackley allowed the Rangers a single run, and the A's whipped a team that pays more for one of its pitchers than Oakland does for its entire starting rotation. Of course, that is a misleading descriptor for the Texas Rangers, because that distinction is not distinctive at all. Every team in the big leagues has more resources than the A's. But in this season that hasn't seemed to matter a bit. With less than a month to go before the season ends, the last place team in terms of payroll may very well finish first in the standings (or, at least, grab a wild-card playoff spot), and Travis Blackley and a collection of has-beens, never-weres, and some never-will-bes is the story of the 2012 baseball world. The writers and reporters started showing up in early summer, trying to answer the question: Who are these guys? The answer, it turns out, has to do with pitching. That's because, despite the razzle-dazzle of late-inning home runs, the A's are a weak-hitting team with the worst batting average in the sport. And so who are these pitchers taking it to the best teams in the league? And who's leading them? 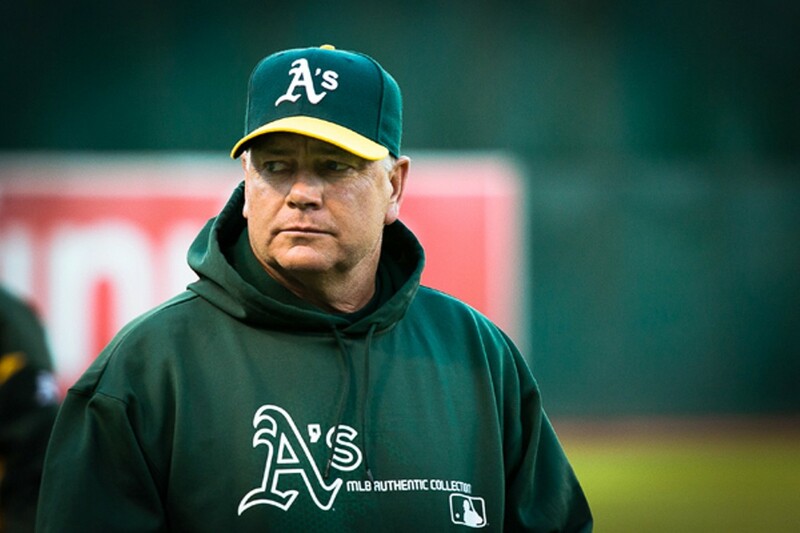 A pitching coach who had toiled in anonymity for years, then failed in his one year in the spotlight. And how did the Oakland A's, who were bad last year and spent the winter getting worse, find their way not only to competitiveness but to the best record in the majors since July 1? And why hasn't anyone thought of writing a book about it? Oh, wait, someone already did. This was a sequel no one saw coming. 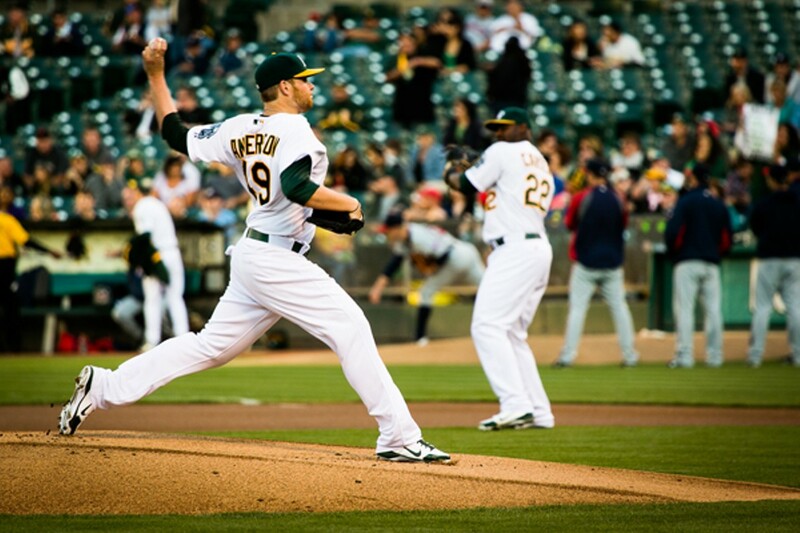 The book Moneyball was the last time the world noticed the Oakland A's. The Michael Lewis bestseller chronicled the 2002 Athletics' draft and subsequent season. It stated that a team could be smart, exploit market inefficiencies, and be successful. But often forgotten is the book's subtitle, "The Art of Winning an Unfair Game." And in the decade that followed, the game didn't get any fairer, and the A's mostly stopped winning. In fact, the A's didn't triumph in the Moneyball season either. Setting a league record with twenty consecutive victories, the Athletics rolled into the playoffs, but were rolled out after one round. After that, the team faded from the headlines, and, after 2006, from pennant contention. Meanwhile, the book became a kind of blueprint for teams who were astute readers with multimillion-dollar payrolls. Looking for undervalued talent soon became another part of the bidding war. And the A's were relegated to bringing a pocketknife to a gunfight. The Boston Red Sox had been shut out of the title since the Treaty of Versailles, but then they hired some of the same propeller-heads that made the A's the story of baseball, and used some of the same philosophy, along with a convoy of Brinks trucks, to bring a championship to Beantown in 2004. Red Sox Nation subsequently either read or wrote books, telling everybody about how they invented baseball. It was just way too easy to do; even the San Francisco Giants eventually figured it out. "Undervalued," after all, is relative. The A's were shopping for the least expensive diamond in the rough, but found that the price of diamonds had gone up dramatically. Convention Coverage Who Was Richard Aoki?